LA SALLE, NICOLAS DE, colonial administrator, commissary in Louisiana; b. probably at Paris, son of Nicolas de La Salle and Marie Harot; d. 31 Dec. 1710 in Old Mobile. La Salle was the brother of Charles de La Salle, commissary general at Marseilles who died in 1695; another brother died in 1690 while serving as financial commissary in Siam. In 1700 Nicolas was employed in office work with the navy in Toulon when he asked Pontchartrain for a more remunerative post in the new Louisiana colony; he recalled his services with Cavelier de La Salle, and reminded the minister of the faithful service of his late brothers. Nicolas needed a higher salary because of his “large family.” Given the position of acting commissary, he sailed to Biloxi late in 1701. 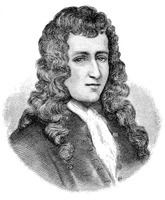 Pierre Le Moyne d’Iberville praised him as being the first to bring to the colony his wife and children; the two eldest, Nicolas and Simon, were eight and seven years of age; the youngest, François, was only two. Nicolas had married Madeleine Chartroux in Toulon on 26 June 1692; she died late in 1702, and he later married Jeanne-Catherine de Berenhardt who bore him a son in 1708 and a daughter in 1709. In the two marriages Nicolas was the father of a number of children; when he died, his possessions had to be sold at auction for the support of five who survived him. Serving as “writer performing the functions of commissary” in Louisiana, Nicolas de La Salle administered the royal warehouse with its supplies, and kept the colonial financial accounts of official salaries and expenses. He directed the taking of Louisiana’s first census, which he completed and signed on 12 Aug. 1708. Wisely but in vain he urged the sending of farm families needed in the colony; he deplored the libertine life of some 60 coureurs de bois listed as being in the Mississippi valley. 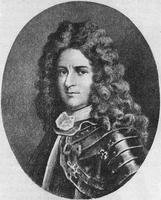 La Salle clashed sharply and continually with Le Moyne* de Bienville, commandant of the colony after Iberville’s departure and death. He accused Bienville of profiteering, of domineering behaviour, and of usurpation of the commissary’s prerogatives. Indeed, the charges of La Salle led to lengthy investigation of the Le Moyne brothers, and helped keep Bienville from being named governor. However, according to Jean-Baptiste-Martin d’Artaguiette Diron, commissary of the Marine sent to Louisiana to examine charges and countercharges, La Salle’s own accounts were not entirely blameless. At Mobile, which had succeeded Biloxi as the capital, La Salle found in the pastor, Henri Roulleaux de La Vente, a strong ally in quarrels with the commandant, and the colonists were obliged to choose sides in the bitter division between the leaders’ factions. La Salle’s criticism of the site of Old Mobile and his recommendation for moving downriver were factors that contributed to the choice of the city’s present site. He was about to be recalled to France when in Old Mobile “he died of the flux on the last day of December” in 1710. C. E. O’Neill, “LA SALLE, NICOLAS DE,” in Dictionary of Canadian Biography, vol. 2, University of Toronto/Université Laval, 2003–, accessed April 24, 2019, http://www.biographi.ca/en/bio/la_salle_nicolas_de_2E.html.